Bahrain, Egypt, Saudi Arabia and the United Arab Emirates are to discuss the Qatar crisis, a month after they severed ties with the Gulf state. The meeting of foreign ministers in Cairo comes on the day a deadline expires for Qatar to accept a list of demands or face further sanctions. The demands to Qatar including shutting down the Al Jazeera channel and scaling down ties with Iran. 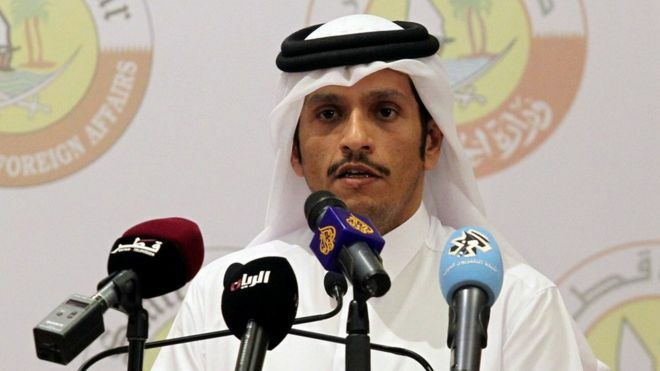 Qatar has called the list of demands "unrealistic and not actionable". The tiny gulf emirate has been under unprecedented diplomatic and economic sanctions from Saudi Arabia, Egypt, the UAE and Bahrain. The restrictions have caused turmoil in the oil- and gas-rich nation, which is dependent on imports to meet the basic needs of its population of 2.7 million.